A commemoration of the life and work of Martin Luther King Jr.; a musical in English based on a Yiddish classic; and Soul to Soul, a concert featuring two African-American singers and a hazan—it’s not your grandparents’ Folksbiene (www.folksbiene.org). At nearly 100, the theater now known officially as the National Yiddish Theatre-Folksbiene (“People’s Stage”) is still evolving. For the first time in its history, the longest continuously producing professional Yiddish theater company in the world—and one of only four such companies in operation today—has hired an executive director, Bryna Wasserman. 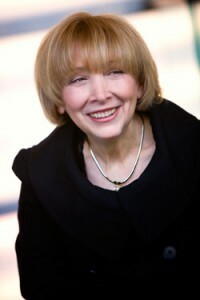 She came on board in July 2011 to work alongside Zalmen Mlotek, artistic director since 1998. Founded under the aegis of the Workmen’s Circle in 1915, the Folksbiene became an independent nonprofit the same year Mlotek took the reins. She is bursting with ideas. Folksbiene is developing partnerships with a number of institutions, as it did for its fall 2011 show, Shlemiel the First. The production marked collaboration between Folksbiene and Peak Performances at Montclair State University in New Jersey, New York University and Theatre for a New Audience. The King commemoration was sponsored by the JCC and the Soul to Soul concert is presented with Workmen’s Circle. Next year, it will begin a collaboration with New York’s YIVO Institute for Jewish Research and is looking at a similar relationship with the Museum of Jewish Heritage-A Living Memorial to the Holocaust, also in New York. Another dream is for the theater to have a permanent home of its own, preferably in New York City. Based for a time at the JCC in Manhattan after its Workmen’s Circle tenure, Folksbiene performed Shlemiel at New York University’s Skirball Center for the Performing Arts. “We are open to all sorts of ideas,” Wasserman says. No matter where the theater is located, though, satellite performances and educational programs in other venues will continue. The theater’s Outreach and Educational Program is available at the JCC in Manhattan, the Brooklyn Arts Exchange and the Yiddishpiel Theatre in Tel Aviv; it would like to expand the program into summer camps. Folksbiene’s seven-member troupe, Di Trupe, performs throughout the United States. Wasserman has a distinguished Yiddish pedigree: Her mother, Dora Wasserman, a stalwart of Yiddish theater in her native Russia, was founding artistic director of the Yiddish Theatre in Montreal. The resident company of the Saidye Bronfman Centre for the Arts, it performed Yiddish classics as well as plays from the international and Quebec repertory in translation. In 2007, she was appointed artistic and executive director of the new Segal Centre for Performing Arts at the Saidye—which included a Yiddish theater named for her mother. Wasserman hopes to “build up” the Folksbiene into an arts center of its own. Other goals are to build up membership, institute a subscription series and present not only classic but new works. “We want to be an outlet for works of Jewish content,” says Wasserman. Since 1999, the Folksbiene has won seven drama awards, the latest, in 2010, was a Drama Desk nomination for Theodore Bikel’s performance in Sholem Aleichem: Laughter Through Tears. Some productions, like Shlemiel—which had a multicultural cast—are performed in English but with a Yiddish flavor. Others are totally in Yiddish, and still others, bilingual. English and Russian supertitles are provided for the latter. Wasserman admits the “purists” may be upset by the lack of total Yiddish, but she likes to quote Sholem Aleichem, the great Yiddish writer, who asserted he wasn’t concerned what language his books were read in, as long as they were read. Thanks to Shlemiel, some 15,000 people who may not have been familiar with his work were exposed to Isaac Bashevis Singer. The musical is based on one of his stories, derived from the Chelm fables. Folksbiene is not limiting itself to full theatrical productions, but rather is devoted to enriching and preserving the entirety of Yiddish culture. It sponsored My Yiddishe Chanukah: A Musical Feast for New York at the World Financial Center (with performances by Joanne Borts, Daniella Rabbani, Avi Fox-Rosen, Dmitri “Zisl-Yeysef” Slepovitch, Brian Glassman, Matt Temkin and other special guests artists) as well as a commemoration of the 125th anniversary of the Eldridge Street Synagogue’s founding on New York’s Lower East Side. A Town Hall gala to honor Neil Sedaka. with performances by Dudu Fisher, Loren Sklamburg of The Klezmatics and Eleanor Reissa, among others, will be held on June 12. 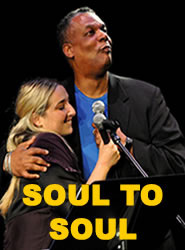 Soul to Soul is part of Folksbiene @ CUNY, now in its fifth year. The series sponsors free staged readings of classic Yiddish plays and concerts on City University of New York campuses: Baruch, Brooklyn, Hunter, Lehman and Queens. Affordability and accessibility are also part of the theater’s mandate, Wassernab and Mlotek emphasize. The concert, presented this year in January and again around Passover, underscored themes of Exodus and freedom. The interracial cast included Magda Fishman, Israeli-born singer-songwriter, trumpet player and cantor, opera’s Elmore James and the actor Tony Perry—backed by a four-piece klezmer-jazz band led by Mlotek. The show highlights the commonalities of Jewish and black music and history. “We’d like to bridge the gap between communities,” Wasserman says. Raising money is of course an essential part of their ongoing mission. But raising consciousness is even more important. “We would like Folksbiene to grow and expand, to become a truly national theater,” Wasserman says.